Ice Mc join forces with SANNY J CONNECTION for - Move It . 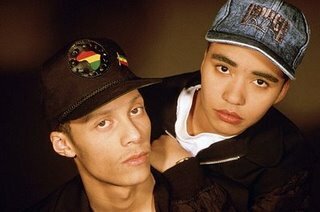 Vengaboys release a new tune To Brazil is a remix of previous hit single released in 98. Loona also made a song about Soccer championship from Rio and it's called the new single Brasil. 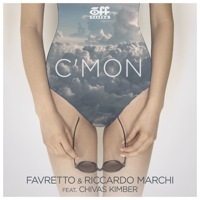 C'mon is the new tune from multitalented Favretto and Riccardo Marchi two producers behind some hit-tracks like "Put Them Up" by Edun (#2 in the Billboard's Hot Dance Airplay chart) and "Pompo Nelle Casse" by Power Francers (Gold Disc in Italy). For this track they team up with American singer Chivas Kimber who was very impressed by the song. "When I received the instrumental from Favretto and Riccardo Marchi" - Chivas says - "I got a very uplifting feeling that literally helped the track write itself. In life" - he continues - "we are lost and constantly searching for the answers. Some of us have a better sense of the direction to head in. For those who don't know which way to go, just grab my hand and... C'Mon!". 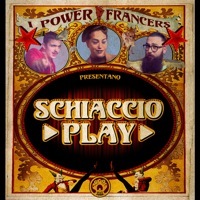 PowerFrancers the dance project from Italy are back with a funny song Dolce &amp; Gabbana. Italy is know all over Europe from her amazing and various cuisine, fashion but also dance music. Ice Mc, Double You, Spagna, Sabrina or Alexia are the Big names from italo dance scene, and Power/Francers is the new wave in this area. Dolce and Gabbana it's a funny song that for sure will attract the sympathy of the listeners through his lyrics. Italian version Dj Mag named this song "A piece born with the idea to have fun and to dance." 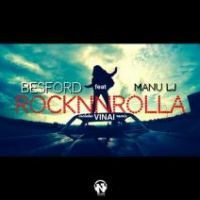 RocknnRolla is the new single from italian brunette with Etruscan roots Manu LJ, and italian producer Besford. The song tt's a little more different from her previous releases but i enjoyed listening , because reminds me a little bit of Race from Milk Inc. The tune was made as a tribute to her town Modena also known 'The Capital of Motors".In one phrase it's an explosive production which mixes up the electro groove with rock sounds and Manu LJ amazing vocals. RocknnRolla is the new rock anthem in the electro tone. The single comes with Extended version and a Vinai remix and can be preorder on all digital platforms.